Restoration without cheap enamel spray. 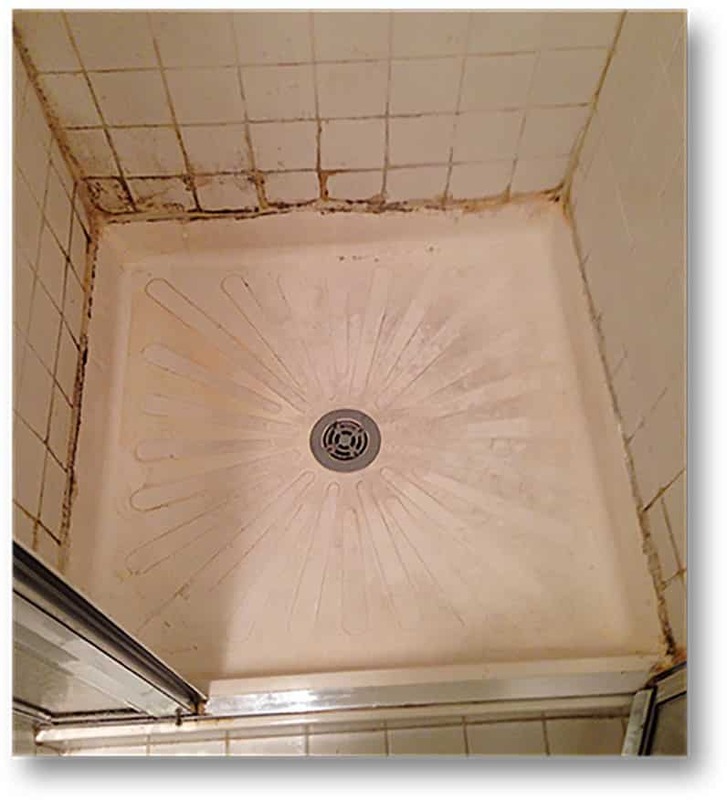 Most all shower basins are stained with a heavy build up of soap scum. We are able to restore your basin now creating an astonishing look, removing all the water dots, bar soap and etching with Benaz. We do not apply an epoxy or enamel finish on top as it will peel and wear off overtime. We can almost remove all the stains for a fraction of the cost. Your cultured marble basin is now clean and well sanitized. With attention paid to the tiniest details, we asked ourselves, how will we prevent this from occurring again. It’s simple, apply a coat of Celine, a solvent based clear topical with resin that will soak in and It’s practically invisible. 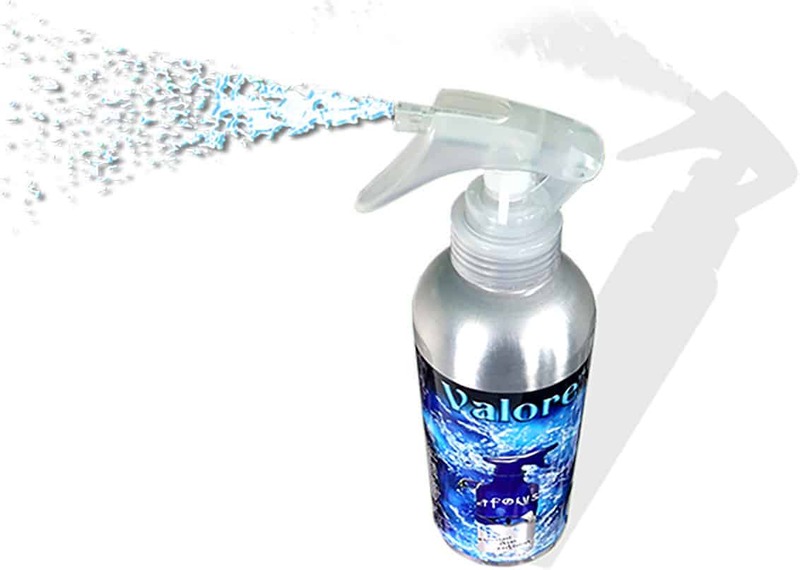 Valore is not simply just a maintenance sealer & cleaner— it’s better in every way, leaving your shower with a stunning look after each use. We are profoundly passionate about saving your time while keeping a sparkling shower. It’s a force that’s driven and inspired us from day one. So we’ve set out to do the unimagined to create a squeegee free shower by only spraying Valore every 2-3 weeks. Now there is entirely new way to receive an estimate. Every estimate is assigned to an artist, who will complete the entire process. Just simply email us pictures and our server will calculate the rest. What is the difference between cultured marble and plastic? Cultured marble is manufactured from a resin, to look like marble. 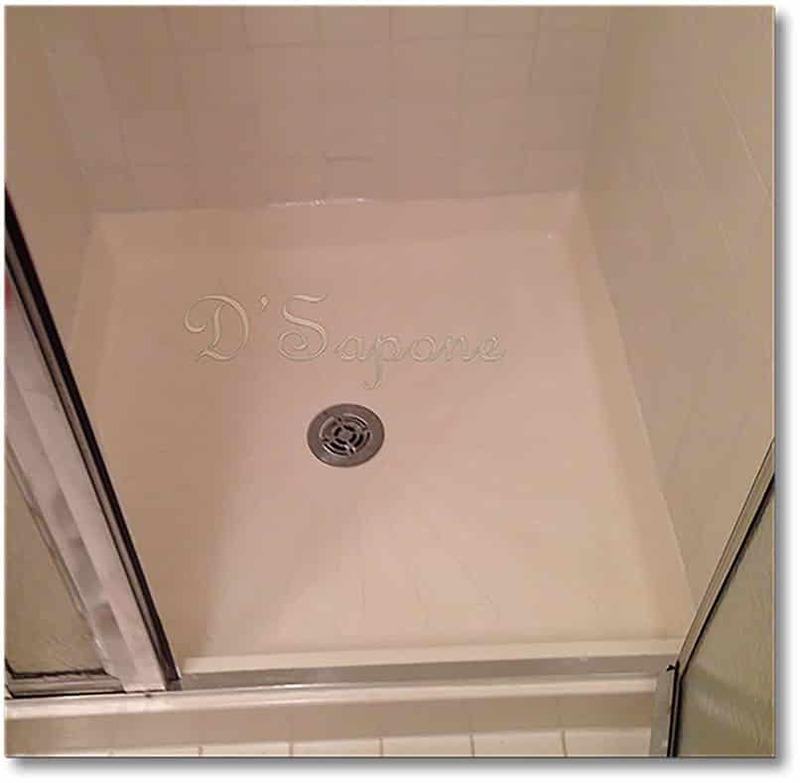 It is thicker than plastic basins and most commonly used on shower walls as well as the shower floor. 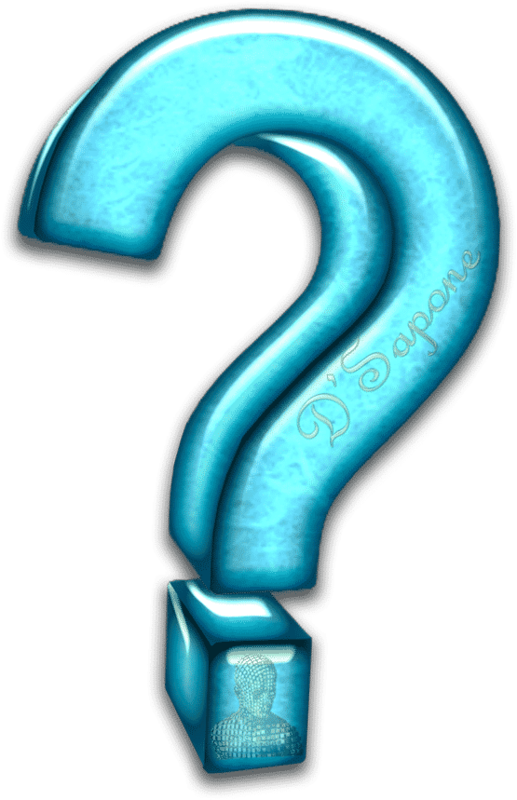 Why doesn’t D'Sapone® paint cultured marble? Spraying a surface with paint, is simply not our style. We apply Celine, a clear topical sealer, penetrating deep into the cultured marble to prevent it from retaining moisture. Can your process remove all the stains? Yes. In most cases we are able to eliminate all the stains. The best part is, it won’t peel or look painted. 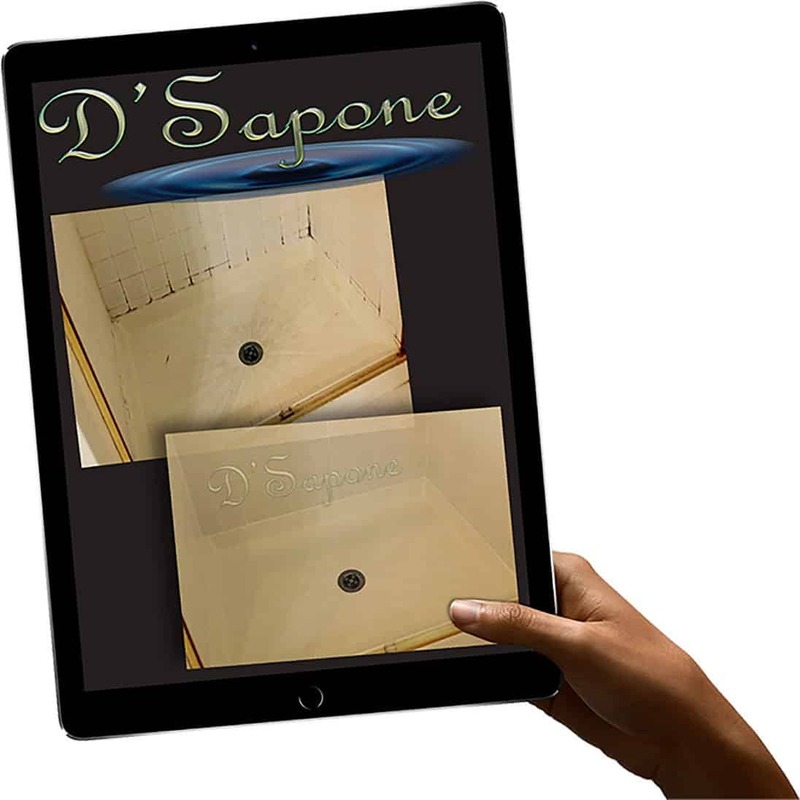 Does D'Sapone® seal the cultured marble after it’s been restored? Yes. We use an oil based penetrating sealer to fill all the pores and prevent future staining. How should we maintain the surface after it is sealed? What if my cultured marble is peeling, because I had restored it? The best answer we can provide is to post reviews for others, don’t to be fooled by companies providing this service. There is no process we can perform for this issue because the entire pan has to be stripped. We have been in business over 7 years and we only use products from pFOkUS®, who set the standard in the restoration industry.